The blog has always been a safe space for me to write about lifestyle, travel, ideas, cultures and people and stories that inspire me. In the run that we’ve had, I’ve also met other people that share the same love for storytelling and we are always on the lookout for guest bloggers to write on our space. 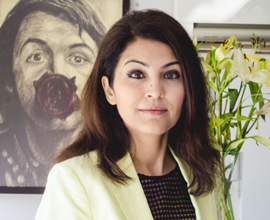 This time around, we have Himadri Karani Mehta from Atlas Traversed where she writes about her travels and inspires her readers to traverse the atlas. They also offer custom-made itineraries and recommendations that enhance your travels with unique experiences. They aim to create a one-stop spot for recommendations on hotels, restaurants, spas, airlines, activities and all things travel related. Here we have a list of destinations that you can fly off to this Diwali! ​As trends change and borders blur, discover some unconventional and unique destinations this Diwali! 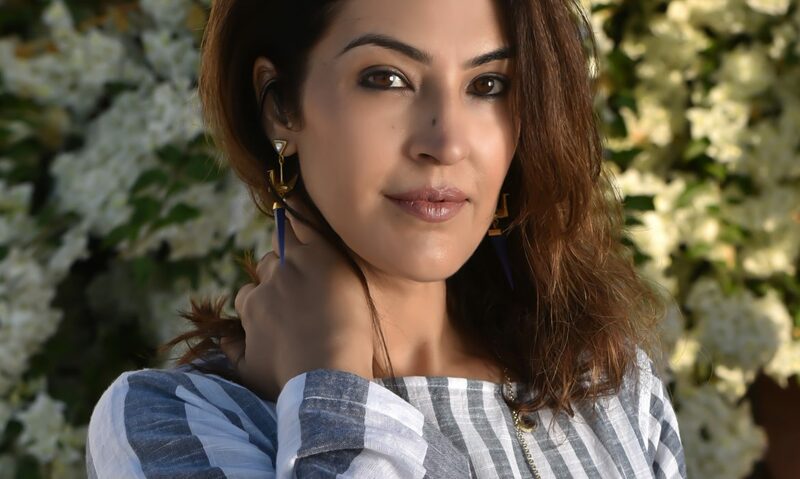 Diwaliis a festival filled of traditions… And while previous generations have celebrated with sweets, lanterns and firecrackers, today’s millennials and virtually global citizens opt for a new tradition… a tradition of traveling…And why not? What better way to celebrate this auspicious festival than with some genuine quality banter with close friends, family or even just with yourself. When we talk about festivals and traditions, this place ubiquitously comes to mind. Extremely famous but fairly unvisited, this is an ideal place to witness true diwali celebrations in full bloom. Start the day early with a morning sunrise boat ride over the River Ganges and watch how hundreds have unwavering faith in this Holy River. You’ll be pleasantly surprised by how awake the city is at 5am! Visit famous ghats and temples like the Kashi Vishwanath Temple (Golden Temple) and the Durga Temple and learn about Indian history and Hindu mythology. Several former palaces and forts on the riverbank offer mesmerizing panoramic views and the Ramnagar Fort is one such strong and sophisticated structure worth visiting! From Kathak dance performances, Krishna Leela renditions to Ram Leela skits, the ghats host a range of cultural events. Wander the busy bright market areas buzzing with sweet vendors and other local goodies! Consider taking a dip in the Ganges (Ganga Snan). 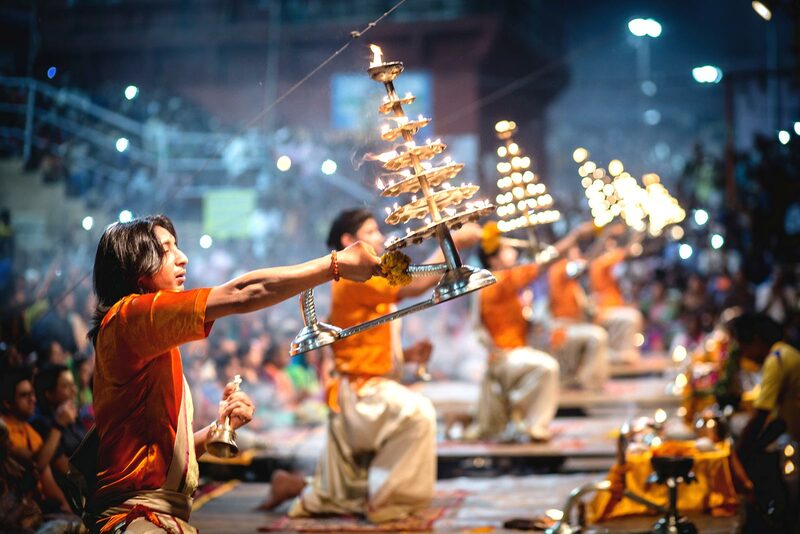 Make sure to reach the Ganga Ghat well in time to truly experience the evening Aarti. This once in a lifetime experience of exquisite rituals, accompanied with massive brass lamps, chanting priests and praying crowds should be viewed from one of the famous Ghats. Stay on to watch countless lanterns illuminate the river from ashore. Enjoy the Mahotsavfestival that culminates in loud chants, celebratory music, colourful lanterns, elaborate fireworks and more! These Island offer a postcard like view of sun, sand and sea! As you land on this undiscovered, undisturbed coastline, you already feel transported to a foreign land. Port Blair, retaining its rustic ‘British-rule’ charm, has a famous cellular jail, light and sound show and romantic sunset points amongst other small town tourist attractions. This extremely clean and serene expanse of nature beauty is ideal for water-borne activities. Choose amongst snorkeling to see the rarest corals to swimming with elephants in Havelock Island to an array of watersports such as jet skiing, parasailing, kayaking and paddle boating. Try the ‘Underwater Sea Walk’ experience, where you walk on the ocean bed as you encounter spectacular species of sea fauna and flora! Consider getting your diving license to meet diverse marine life or to visit interesting wreck sites in the Indian Ocean! Visit the Baratang creeks that are full of mangrove trees and saltwater crocodiles as your ride in a speed boat to the magnificent Baratang Limestone caves. Also visit the Barren Island with an active Volcano. Witness bioluminescence (where the water glows as if it were full of countless stars and galaxies) on a night boat ride in Havelock. The white sandy beaches and topaz blue waters make the most romantic setting. Take a romantic private fishing trip or a sunset cruise! Relax in your private beach villa in a luxury resort or spend your day making new friends on a beach shack. Lastly, enjoy panoramic views from above with a short seaplane ride over the island. Moreover, November is a great time to visit with the monsoons passed and the weather ideal, before high seasons kicks off! 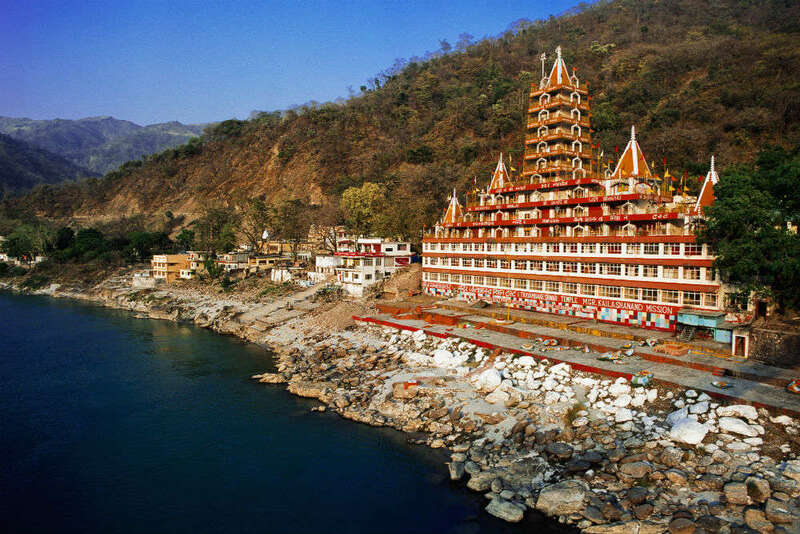 Rishikesh, also located on the Holy Ganges, is another amazing spot to visit in the months of October-November. Start by exploring ‘Holy Rishikesh’ where you can visit the Kailash Temple not only for its religious significance but its spectacular view. Next, walk to Lakshman Jhula, which is a suspension bridge over the River Ganges. You can experience the Ganga Aarti at the Triveni Ghat. Also check out the the Beatles Ashram where the band wrote over 40 of their songs! Famous for white water rafting, Rishikesh has a plethora of other extreme sports! These include bungee jumping, bridge swinging etc. Regain your zen in the Yoga Capital of the World by spending a day or two at the relaxing Ananda Spa. Mussoorie is the quintessential hill station destination, with its natural beauty, crisp air, adventure activities and soul-soothing atmosphere. Hike to the picturesque Kempty Falls, picnic by Mussoorie’s lakeside, try the adventurous skyrideon its high mountains, enjoy cable cars to scenic peaks for panoramic views, zipline across the town or paraglide over it or get your adrenaline pumping with thrilling activities like rappelling, rock climbing and rafting. Trek to Lal Tibba, an observatory deck, and be awestruck by stunning views of the Himalayas. End your trip with some local street food and some local shopping! Learn about our culturally rich and historically complex neighbours. Visit the archaeological parks of Angkor Wat and the famous ‘Tomb Raider’ sanctum surrounded by tall silk cotton trees. Be sure to experience the sun set over this ruined city for the most photogenic views. Visit the largest temple in the world, ancient wonder of the world and UNESCO World Heritage site dedicated to Lord Vishnu. 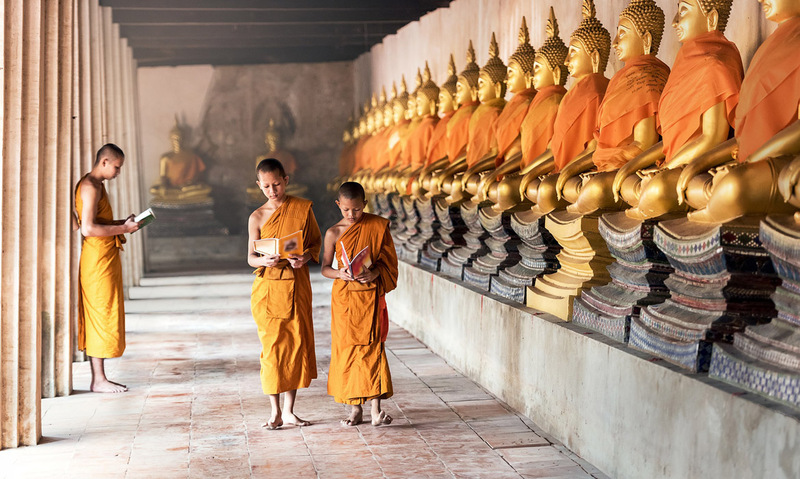 Phnom Penh Palace and National Museum with its intricate architecture and blossoming gardens as well as the Silver Pagoda is a site worth seeing! The killing fields in Phnom Penh, filled with thousands of skulls and bones and the Genocide Museum reveal Cambodia’s tormented and bloody past. Apart from palaces, temples and museums, Cambodia flourishes with some rare species of flora and fauna including some globally endangered birds. Spot these at any of the numerous national parks and reserves. Play, feed and swim with elephants at the Elephant Valley Project! Sail over the Mekong to spot the Irrawaddy river dolphins, one of the rarest aquatic mammal! Appreciate the ancient arts and dance at the Apsara Show, a traditional Khmer performance with links to ancient mythology. Khmer is also known for its unique spa treatments. For a more laid back time, Cambodia offers plenty of tranquil beaches with mesmerizing sunsets and a vibrant underwater life. Consider diving, snorkeling or even boating to encounter a diverse underwater species like whale sharks, seahorses, eels and more. Enjoy the many water sports like kayaking, parasailing and more. On land activities include nature treks, visiting bat caves, quad biking and a ride through the countryside on the bamboo train, ‘nori’. Don’t forget to roam the local markets for some amazing steals before heading to Vietnam. In Vietnam, visit towering limestone caves and picturesque beaches in Halong Bay. Explore the world’s largest cave, Hang Son Doong situated amidst dense forests and countless hidden caves. Trek through the jungle to scenic waterfall spots and keep an eye out for monkeys and flying foxes! Visit the Cao Dai Temple based on a Vietnamese religion that combines Christianity, Buddhism, Taoism, Islam and Occult! Cruise the Mekong on this side of the border, and enjoy the scenery as you visit the lush rice paddies. Try the special ‘weasel’ tea made with the help of small weasel-like creatures called civets. Lastly, make sure to hunt for some of the best pho you’ve ever tried! 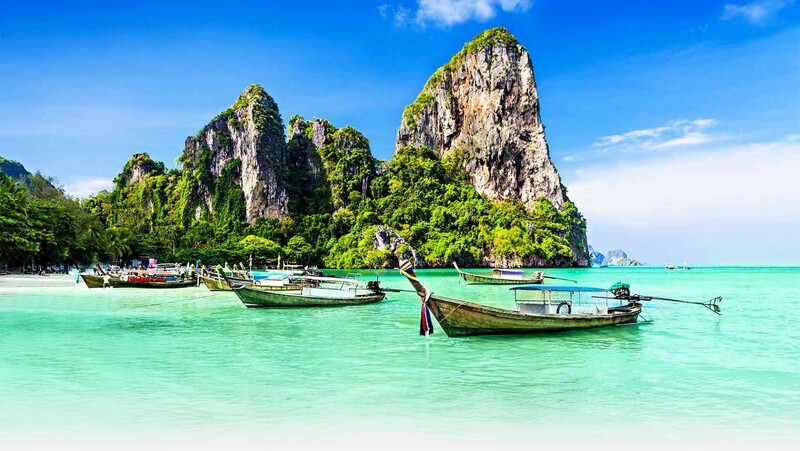 With the rains recently moved and the countryside fresh and green, November is an ideal time to visit these Southeast Asian countries. So full disclosure – I’m biased because this is currently on top of my list and here’s why it should be on yours too! 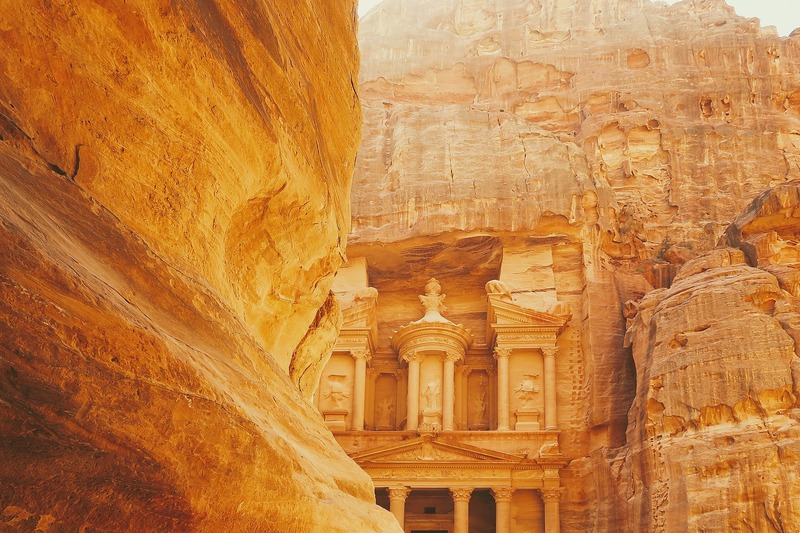 From historic culture and timeless architecture, to beautiful beaches and iconic natural wonders to exhilarating activities and exotic belly dancers to delicious hummus dishes and flavourful water pipes, Jordan has it all! Lose yourself in the Lost City of Petra. Built over 2000 years ago, this huge archeological site and great ancient city definitely lives up to the hype. At night, go on a candlelit trip to the Treasury of Petra. Further, visit the Monastery, Petra’s largest monument, dated back to 1st century BC and Dana Village, a stone village, occupied since 4000 BC. Furthermore, visit the sandstone carved site of Little Petra. You can choose to go on amazing hikes that end in rewarding views! Head to the Valley of the Moon, Wadi Rum to watch the sand change colour within minutes in this incredible desert valley. To fully experience this UNESCO World Heritage Site, camp in tents under its starry night. By day, ride a camel across its enigmatic sand dunes and explore its attractive sites in a desert safari. Sites include rock bridges and arches like Little Rock Bridge and Burdah, deep and narrow canyons like Khazli and Burrah, and numerous ancient rock drawings. Visit the most well preserved Roman ruins of Jerash that date back 6500 years. Don’t let the location of Umm Qais (on the borders of Palestine, Syria and Israel), prevent you from visiting this magical site. Umm Ar-Rasa, a UNESCO World Heritage site boasts perfectly preserved mosaic from Roman, Byzantine, and early Muslim times. Swimming in the Dead Sea, to check visiting earth’s lowest elevation point, off your bucket list! As the name suggests, the Dead Sea is devoid of life because of its high salinity. The salinity is so high that you can easily float rather than swim! Enjoy the water’s healing properties with a traditional mud bath. The Red Sea coastal city of Aqaba has a lot to offer! 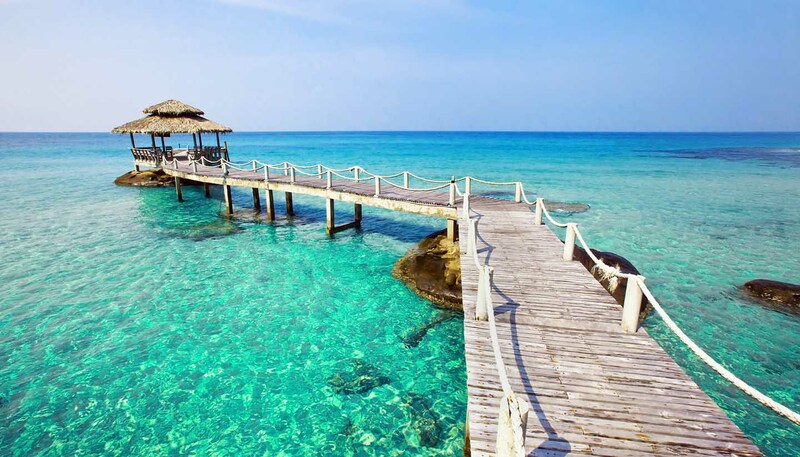 Alluring beaches, romantic sunset cruises, and all-inclusive luxury resorts, ultimate spots for diving and snorkeling in the Red Sea. Finally, end you trip in Amman. Stroll through its Rainbow streets consisting of Ottoman architecture, graffitti, boutiques stores and variety of restaurants and cafes! P.S- If you’re fit enough, dare to experience the thrill of Canyoning as you rappel down waterfalls and cross fast flowing waters in Wadi Mujib! Seychelles is home to stretches of soft sand beaches, unique underwater life, picture perfect sunsets, fresh coconut water, ample vitamin sea, laid back vibes, warm hospitality and luxurious resorts that have everything you could possibly need! Port Glaud is one of the best snorkelling sites. Explore the diverse marine life with snorkelling, scuba diving or glass bottom boat ride. Activities in Mahe Island include diving with sharks, wreck diving, swimming with dolphins, horse riding on the beach, hiking to scenic hilltops, showering in hidden waterfalls, fishing, paddle boating and romantic sunset boat rides. Take a zipline or rock climb in the dense forests over the island and be sure to see some stunning views. You can also take a helicopter ride over the island for panoramic views of this heaven of earth. Visit the rainforests in Vallée de Mai, Praslin that is thought to be the real garden of Eden. This UNESCO World Heritage Site, is famous for the Coco De Mer fruit, the endangered Black Parrot and other rare indigenous species. Cycle around the island’s interiors or hike up Eagle’s Nest Mountain in La Digue. Encounter Giant Tortoises in Curieuse Island and Cousin Islands. Go rum tasting in Seychelles’ very own rum distillery to experience island life to the fullest!Be sure to spend some time on Seychelle’s magical beaches or at its award-winning golf course! Lastly, spend a relaxing evening at a private outdoor cinema by the beach or spend the night under the star covered sky in biodome. Malta is ultimate destination for some November Sun! The island’s azure seas and warm temperatures make it a diving haven. Snorkel or scuba dive to encounter colourful corals and an abundance of aquatic life, wreck dive to World War II sites that include U-boats or reef and cave dive in search of pearls in Comino. The island’s interiors are crowded with ancient churches, museums, markets and cafes giving it this rustic old world charm. The ancient town of Mdina is situated on a beautiful hilltop. Casa Rocca Piccola is a charming house turned into a museum of costumes, art and antiques. Also visit the beautiful baroque style, St. John’s Cathedral and the splendid Mosta Dome in neoclassical style to truly appreciate the island’s medieval architecture. Fort St. Elmo is a splendid structure over Valletta’s harbor. 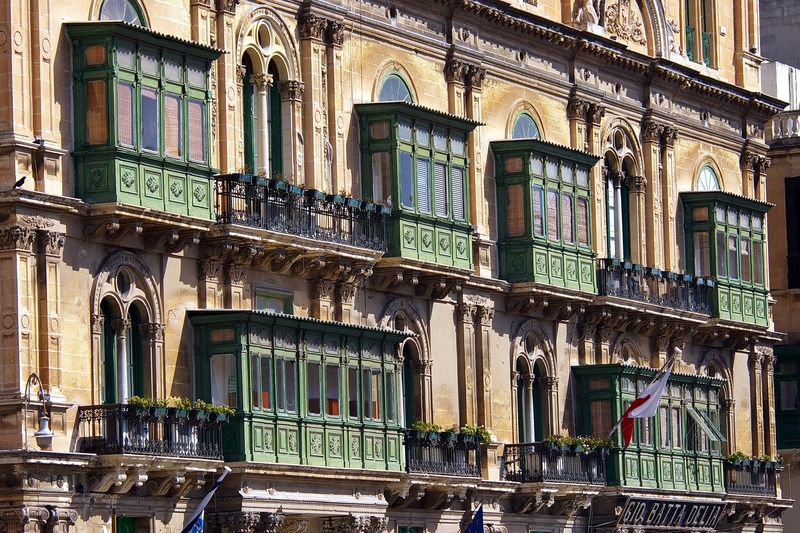 Roam around Valletta’s lively harbour that is brimming with boutiques, restaurants and cafes! The ‘Three Cities’ of Senglea, Cospicua and Vittoriosa, across Valletta’s harbour are known for their alluring promenades and scenic coastal towns. Take a day trip to ‘Popeye Village’ which was the film set from the ‘Popeye’ musical and is now turned into a theme park village! Visit the island of Gozo, a short boat ride away, for its blue grottos and private beaches! The Ggantija Temples that predate the Pyramids are also worth visiting on Gozo. Keep up the romance with sunset horse ride on the soft sandy beaches of Golden Bay. Or put on your party shoes as you head to the buzzing nightlife in St. Julians district, where clubs and casinos are open well past sunrise! Iceland in the winter renders an unique experience. 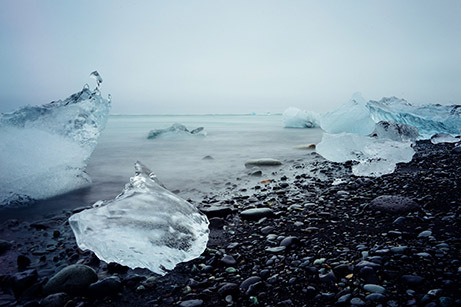 The land of fire and ice is known for the most popular Blue Lagoon and the ‘Golden Circle’. The Golden Circle is 190-mile round trip route that includes stops like Thingvellir National Park (a place from the old Vikings days and where American and Eurasian tectonic plates touch), Geysir Hot Springs, Brúarfoss Waterfall and Gullfoss Waterfall. Iceland is full of mesmerizing waterfalls! Stop over at the Skogafoss Waterfall, the Seljalandsfoss Waterfall and the hidden Gljúfrabúi Waterfall as you make way to the coastal town of Vik. Each waterfall, more breathtaking than the previous, is a must visit! A short hike from the waterfalls is the relaxing Seljavallalaug Hot Spring (especially enjoyable in the winters). Definitely hike to the Sólheimasandur Airplane Wreck site (made famous in the bollywood film, Dilwale). While the trek is slightly tiring, it is certainly rewarding! Discover the black sand beaches of Reynisfjara and the magnificent Fjaðrárgljúfur Canyon. As you drive back, halt along the way at scenic points to pet Icelandic ponies! Nights in Iceland are reserved for chasing the Aurora Borealis. Late night northern light excursions involve bonfires, roasted marshmallows, hot chocolates and layers of cosy woolen mufflers! Set some time aside to explore the city of Reykjavik and to enjoy winter sports like snowmobiling, husky sledding and ice caving! A trip to Portugal consists of sightseeing at historic monuments, cultural appreciation, wine tasting, indulging in gastronomy food, sunbathing on red beaches and enjoying a happening nightlife! In Lisbon, visit the decorated Mosteiro dos Jeronimos Monastery and the iconic Belem Tower to witness its impressive Manueline style. While here, be sure to try the local sweet delicacy (custard tarts) at Pasteis de Belem. The Castelo de Sao Jorge and the city skyline from it are both absolutely breathtaking! Other interesting sites include the oceanarium, the Santa Justa lift and the distinctive Lisbon trams. Not to mention, the shopping and nightlife in Lisbon are amazing! A day trip to the UNESCO World Heritage Site, Penna Palace in Sintra surpasses expectations with its vibrant colours and intricate architecture. Head to Cascais and Cabo da Roba, which is a famous coastal trail leading to the westernmost point of Europe. Experience the timeworn charm of Porto as you roam the city’s old quarter, studded with tiled buildings and port cellars. Visit the famous ‘Harry Potter’ library (Livraria Lello bookshop) and São Bento Train Station made out of over 20,000 tiles. Climb Clérigos tower or take a boat ride on the River Douro for the best views. 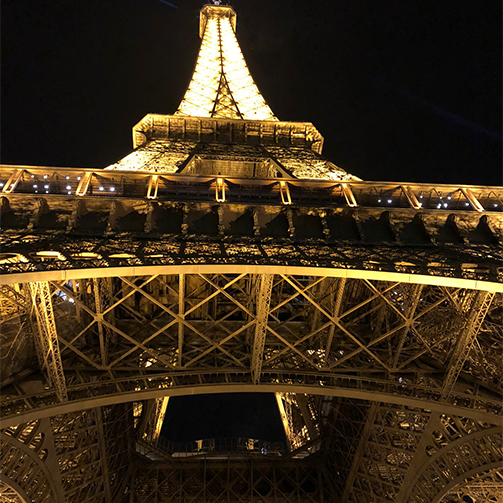 Don’t forget to try the city’s famous eclairs filled with whipped cream and dine at one of its many Michelin star restaurants! Douro Valley is perfect for wine lovers, where you can drive along a picturesque path to different vineyards to taste the world famous Porto wine. 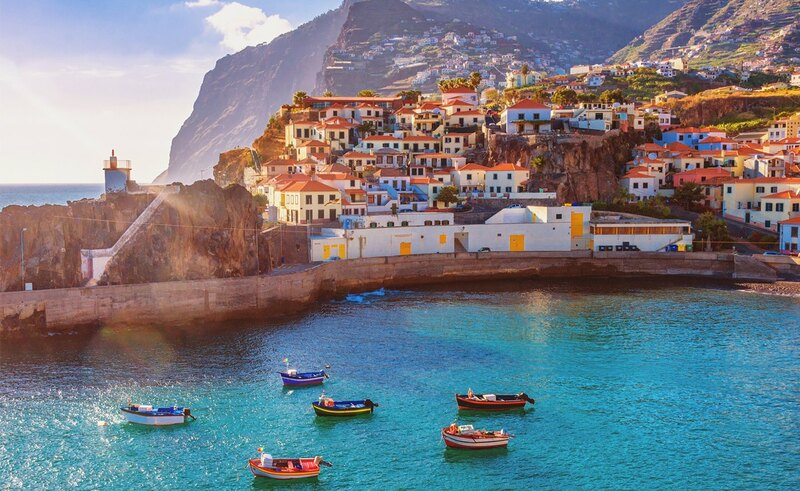 Madeira, Azores in the mid-atlantic has dramatic landscapes and offers activities like whale watching, deep sea diving, water sports, hiking, mountain biking, horse riding and more. You can also visit the crater lake, Furnas located on hills covered in mud volcanoes and hot springs. In the south, Algarve is known for its beautiful underwater caves (Benagil) and cove beaches. The coastal cities of Faro and Lagos that offer more than just sparkling waters and pleasant climates should definitely be on your itinerary! Which flight are you on today?